On July 25, over 4,000 participants and negotiators from 142 countries came together for Habitat III’s Preparatory Committee Meeting in Surabaya, Indonesia. The purpose of the meeting was to finalize the New Urban Agenda (NUA)—a vision for the cities of the future and a path for achieving it. 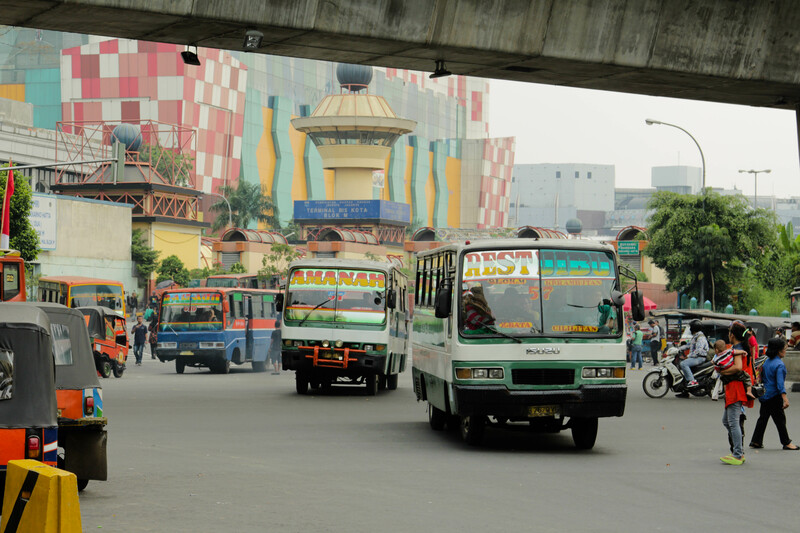 While Surabaya didn’t change the core message of the New Urban Agenda—that the future of cities is of vital importance, and that the nations of the world must come together to ensure that our urban future is a sustainable, equitable and prosperous one—there are still numerous issues of contention to resolve in the months ahead. Negotiators must now reconvene in New York later this summer before the final compromise can be affirmed in Quito in October. One of the biggest challenges moving forward is coming to consensus about Part C of the declaration: Follow-Up and Review, one of the most hotly debated areas of the New Urban Agenda. A primary criticism of Habitat II was the lack of structured follow-up processes, which led to a lack of momentum in driving action in pursuit of its commitments. Creating an implementation mechanism that mobilizes action across sectors and levels of government will be critical. The challenge here lies in the diverse governance structures of many of the big players. If the New Urban Agenda contains language that is too strong, will countries find themselves in hot water for agreeing to conditions they aren’t prepared or legally allowed to implement? And who has the power to execute and implement the New Urban Agenda’s vision—will this responsibility lie with federal governments? Or does that power primarily lie in subnational and local hands? Because the NUA is not a legally binding document, perhaps the best way forward is to create text that encourages countries to act within their own legal and governance frameworks, rather than coming to agreement on lowest common denominator verbiage that lacks the strength to push the envelope on what cities can and should be. Similarly, how closely should the New Urban Agenda align with the Sustainable Development Goals (SDGs) and their indicators? Some argue that the NUA should serve as an implementation mechanism of the SDGs in order to give it additional strength and visibility on the global stage, whereas others prefer it be a stand-alone platform. If the NUA does link with the SDGs, does it align with all Goals, or only Goal 11 on cities? Furthermore, there is the issue of how the UN Development System can support and enable the New Urban Agenda, and what the role of UN-Habitat will be moving forward. On the one hand, some argue to keep the role and future of UN-Habitat separate from the declaration, find a solution later under a new Secretary General and wait for a potential overhaul of the entire UN System. Others want to strengthen the role and prominence of UN-Habitat. However, the key question that must be answered, but which has been discussed the least, is what can be done differently within the UN system to support the fundamental changes needed for more sustainable cities. Skipping this question to immediately distribute responsibilities and power amongst UN agencies will not help realize the New Urban Agenda. Anticipating these vexing issues of implementation, the UN-Habitat Secretariat debuted their Action Platform—the Quito Implementation Plan (QIP). The QIP will serve as an online gateway for different types of stakeholders—including the private sector, NGOs and grassroots organizations—to publicly present their commitments and implementation initiatives in one centralized place. The idea is to raise awareness around different activities and opportunities for collaboration. While the Implementation Plan is a step in the right direction, there is still considerable work to be done. The platform currently allows stakeholders to add initiatives and classify them according to six types of commitments—like Social Cohesion and Equity and Urban Housing & Basic Services. However, some stakeholders have advocated expanding the types of initiatives and aligning the platform more closely with the Lima-Paris Action Agenda (LPAA)—a similar platform created around the Paris Climate Agreement. Doing so will allow stakeholders to align and build upon the existing initiatives emerging from other global processes. Linking to other, more prominent frameworks with global support (like the LPAA and the SDGs) will help build momentum and bring credibility to the platform. Additionally, the QIP lacks quality assurance, clarity around the initiative approval process and the follow-up and reporting mechanisms needed make the New Urban Agenda a success. A good idea would be to draw upon the lessons learned from the LPAA, to revise the categories and build on the momentum of strong existing initiatives like the Global Alliance for Buildings and Construction and SLoCaT/PPMC, rather than starting something new. In the weeks ahead, the world will watch as the delegations negotiate the final intricacies of the New Urban Agenda and come to a final compromise in New York. Especially interesting to watch will be the future of the Secretariat’s new Quito Implementation Plan. As Quito draws near, the pressure on the negotiators to create a New Urban Agenda that is not only visionary but also actionable will be at an all-time high.